Ruby's Diner Shake Happy Hour! Shooby Dooby Down to Ruby’s Diner for a Shake Date! Share the love this February at Ruby’s Diner! Whether it be with family, friends, or that special someone, a Shake Date at Ruby’s Diner is the perfect way to spend time with your loved one. Ruby’s Red Velvet Shake takes the cake for our most decadent shake in February! This tasty treat has creamy vanilla ice cream blended with Red Velvet Cake and icing flavors. 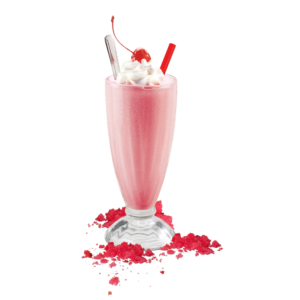 One sip of this delicious shake and you and your sweetie will journey into a cookie fantasy world! 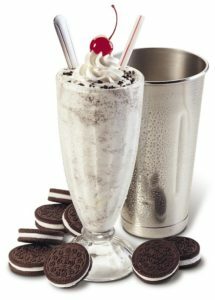 A combination of our smooth vanilla ice cream and OREO cookie pieces are blended to scrumptious perfection. Life can be salty, but love is so sweet, this shake has the perfect blend to make your day complete! This flavorsome milkshake satisfies both salty and sweet cravings with a delightful combination of rich caramel flavor, a hint of sea salt and creamy vanilla soft serve ice cream. 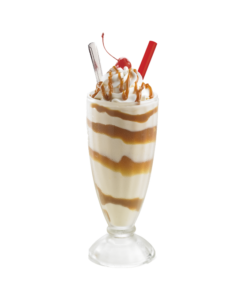 Click here to see our full list of tasty milkshakes! 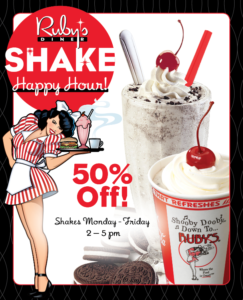 And don’t forget to follow Ruby’s Diner on Facebook, Instagram, and Twitter for more exciting offers all month long! Only valid for dine-in only at participating locations: Anaheim CA, Ardmore PA, Balboa CA, Brinton Lake PA, Carlsbad CA, Citadel CA, Corona Del Mar CA, Downey CA, Huntington Beach CA, Irvine CA, Laguna Beach CA, Laguna Hills CA, Long Beach CA, Mission Viejo CA, Morongo CA, Oceanside CA, Orange CA, Palm Springs CA, Palos Verdes CA, Redondo Beach CA, San Clemente CA, San Juan Capistrano CA, South Coast Mesa CA, Tustin CA, Whittier CA, Yorba Linda CA. 50% off shakes only valid from 2pm – 5pm February 4th – 8th 2019, February 18th – 22nd 2019, and February 25th – March 1st 2019. Buy any adult shake or kids shake between 2pm and 5pm in store and get 50% off your shake purchase. Other terms and conditions apply. Not valid with any other discount or offer, including Jitterbug Club. Not valid with any third-party delivery service, take out or catering orders. Void where prohibited.